It is often said that, “sometimes a break from your routine is the very thing you need”. The property owners in Pakistan needs to seriously take this advice. Considering that most of them blindly follow others when it comes to choosing the home designs. Don’t Believe Us? 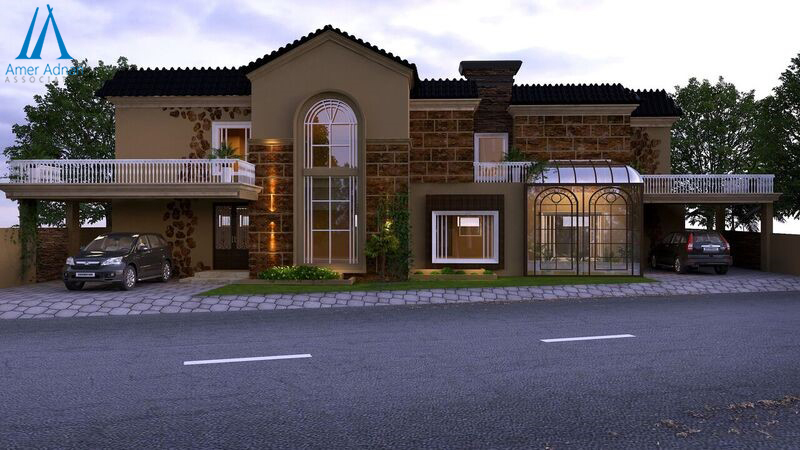 How many houses in your vicinity have the striking resemblance to this home design? I am sure there would be many, especially if you are living in any of the posh localities of Pakistan such as DHA, Bahria Town, Model Town, Gulberg, Wapda Town. Why? Because most of them are making use of the same straight line style. The worst` part is this incessant replication isn’t coming to an end. Thanks to unprofessional private builders and contractors who suggest property owners to opt for boring and repetitive styles to save the design cost. While other construction companies in Pakistan simply lack the skill and vision to come up with a unique home design that best suits a client’s lifestyle and social setup. However, the design team at AmerAdnan Associates always strive hard to break the norm and come up with practical and tasteful designs to set itself apart. 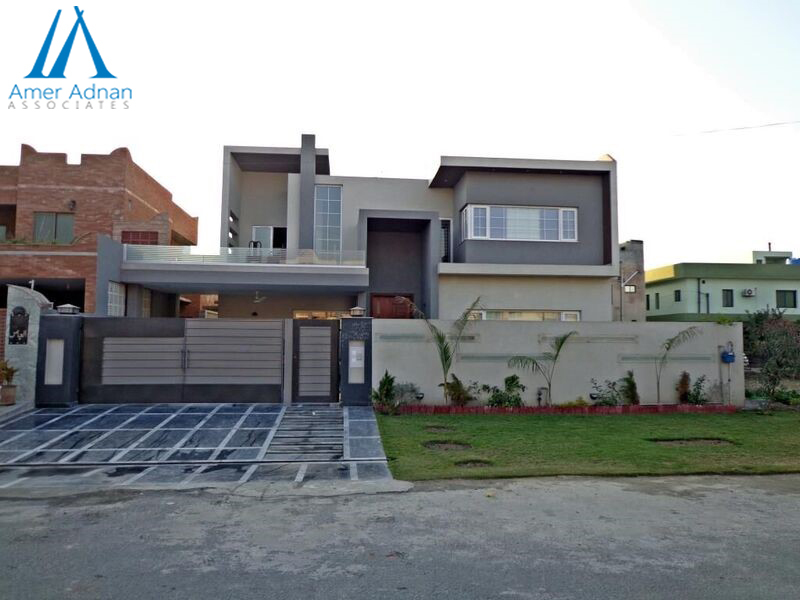 The recently designed Mediterranean homes by the best construction company in Lahore truly reflect the skills of its design team and are a testament of their art. These Mediterranean villas are inspired by romantic Spanish and Italian architecture. 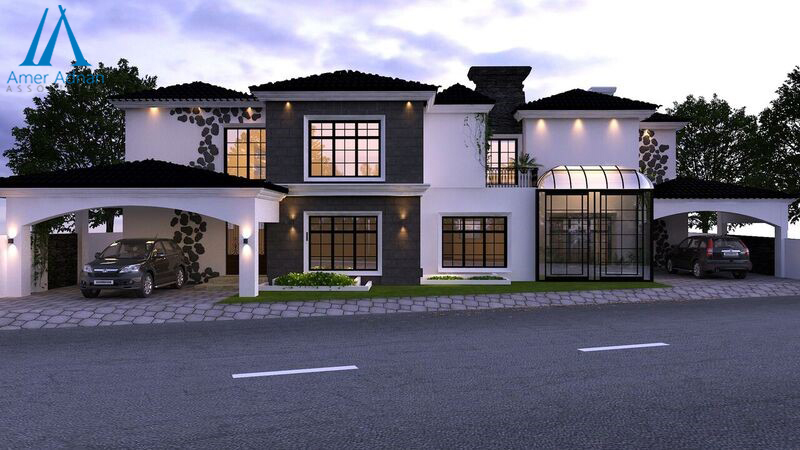 They will feature terra cotta roofs, stucco exterior and large arch openings with decorative wooden and wrought iron grills to create an exotic feel. Whereas the lovely balconies will provide a connection to the outdoors and allow fresh air to freely flow through the abode. You can also use these designs to create a great vacation home.